In the process of engine disassembly I removed the original 40669 crimped style fuel pump from my February 1969 dated DZ motor. 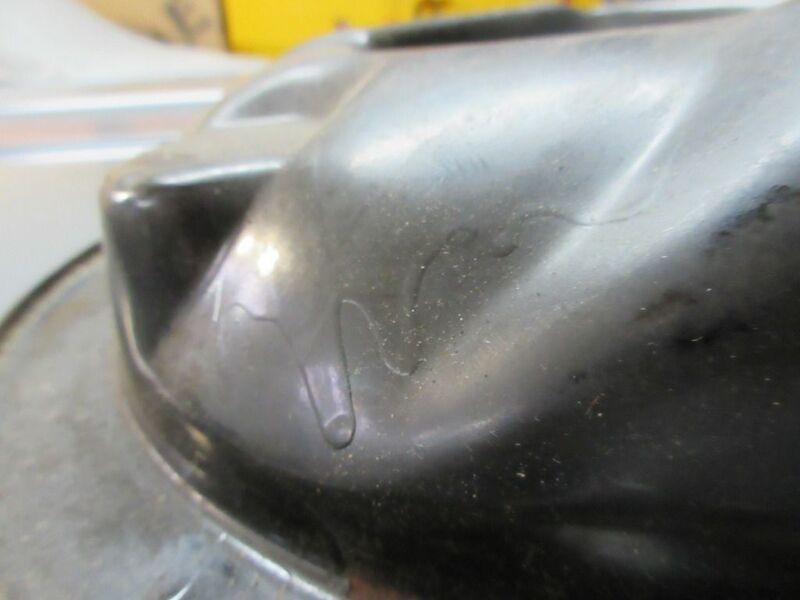 The fuel pump is dated AI or January 1969 and from the inlet threads it appears the crimp on bowl was originally gold cad plated. 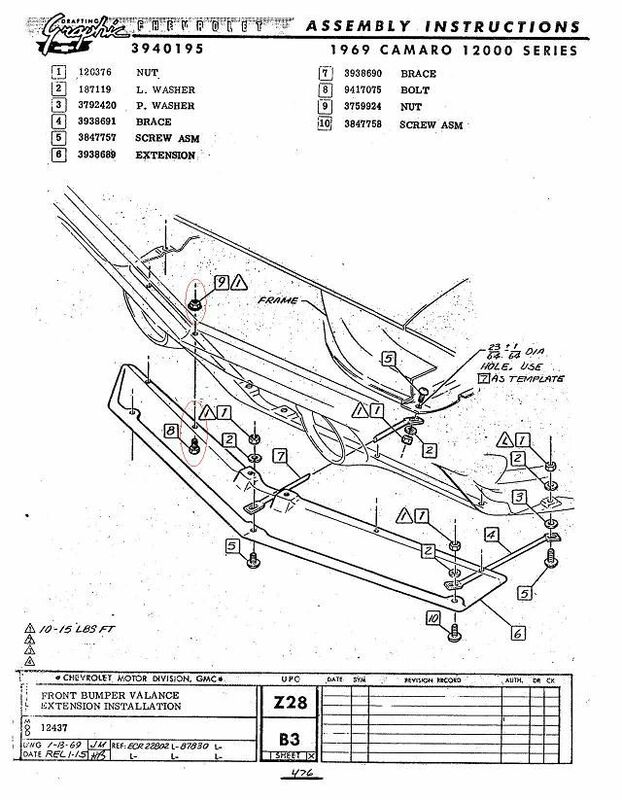 I am wondering if any original 40669 pumps were plated using silver cad/zinc? 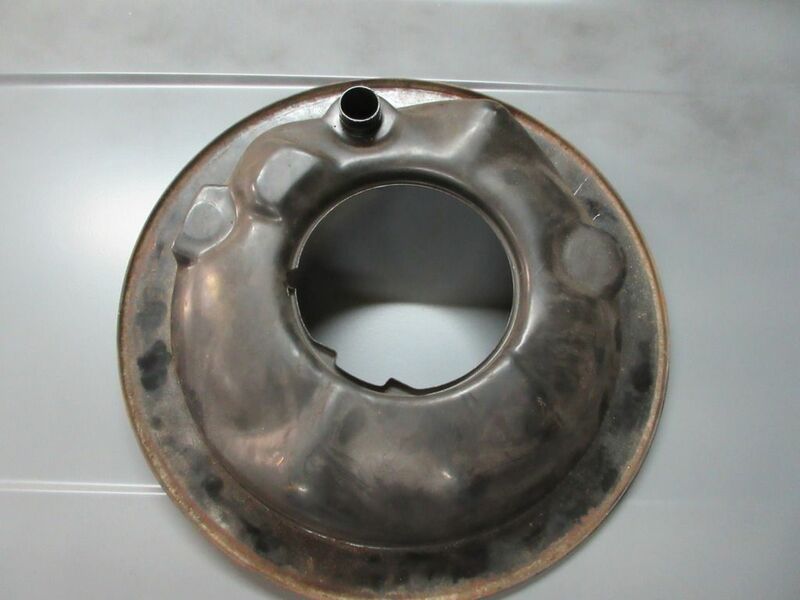 I have seen restored and NOS versions with gold or silver cad plated bowls however was silver cad ever used on original 40669 pumps in 1969? Restored original 40669 fuel pumps - gold cad and silver cad crimped on bowls. 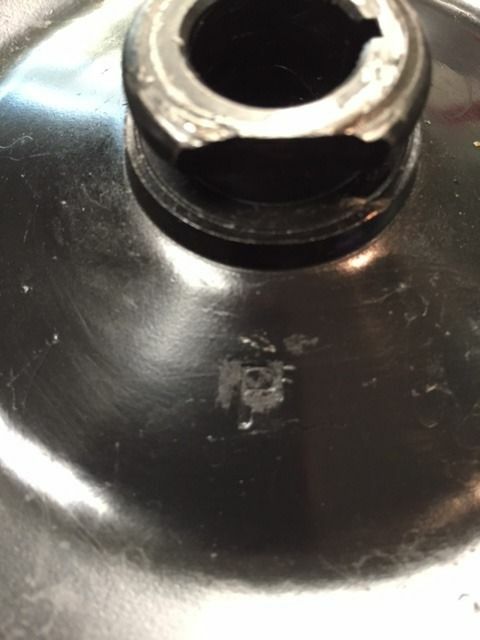 Restoration / 1969 Camaro Coil Springs - Correct Finish? 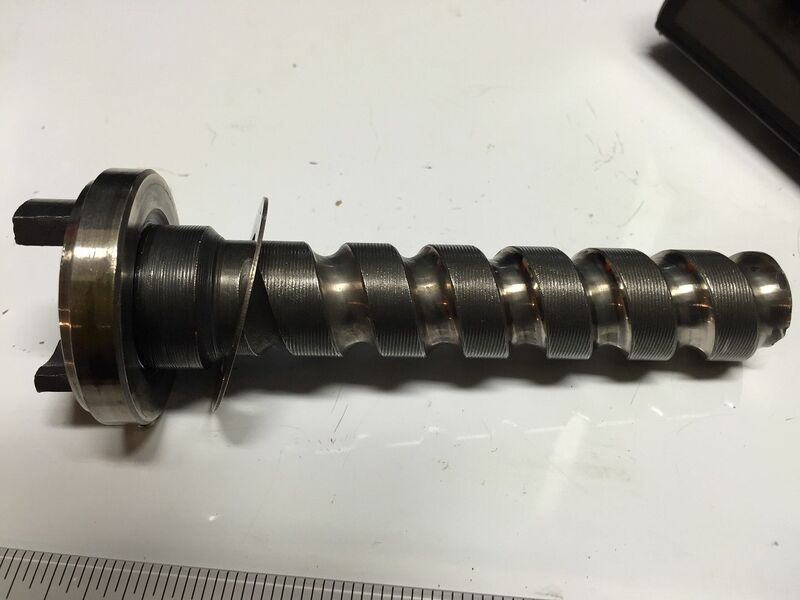 Was asking about the correct finish on coil springs however I see there is another, recent thread on this. 1. 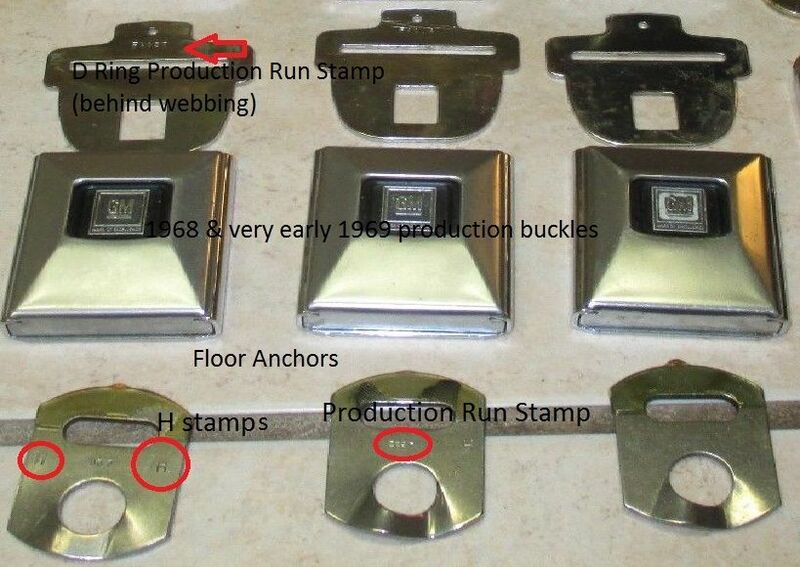 Were all D-ring stamps all the same for each car, all buckle stamps the same, all floor anchor bracket stamps the same? 2. 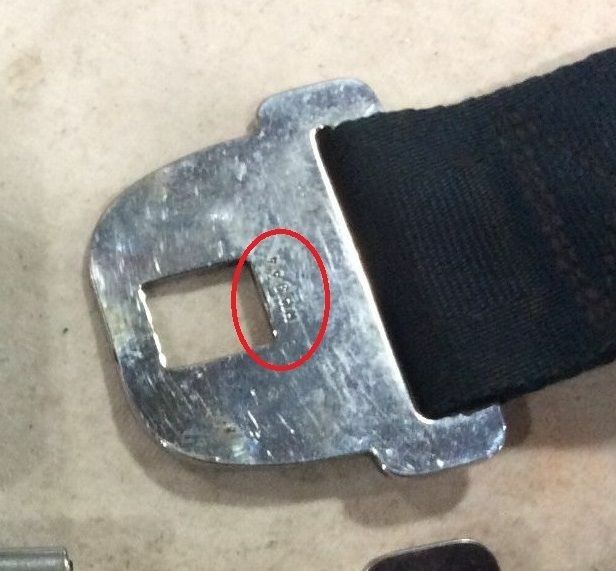 Did the D-ring stamps normally appear on the flat of the buckle below the latch hole or on the cross bar behind the belt webbing? 3. 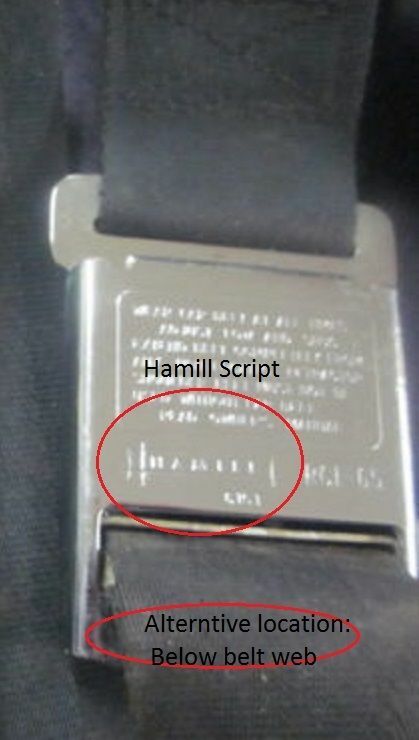 Did the Hamill name stamp on the reverse of the buckle appear above the webbing or below the webbing (just above the bottom edge of the buckle)? 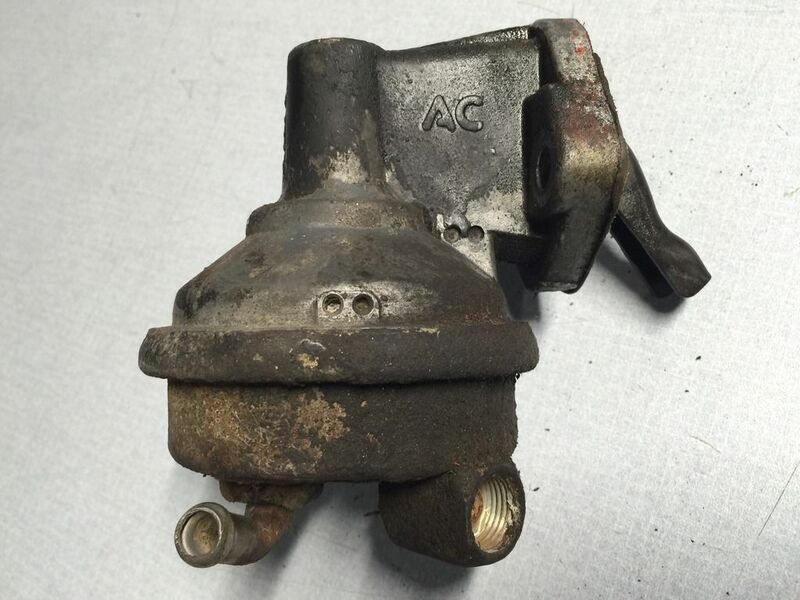 Originality / 1969 Original Power Steering Coupler / Rag Joint? 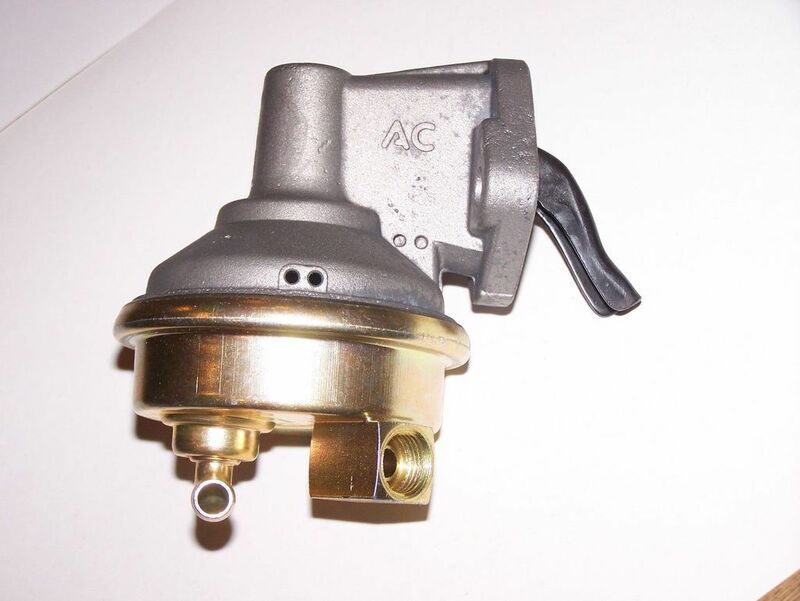 Having a debate over which is the correct power steering coupler for a 1969 Camaro - would appreciate if someone would please post a photo. 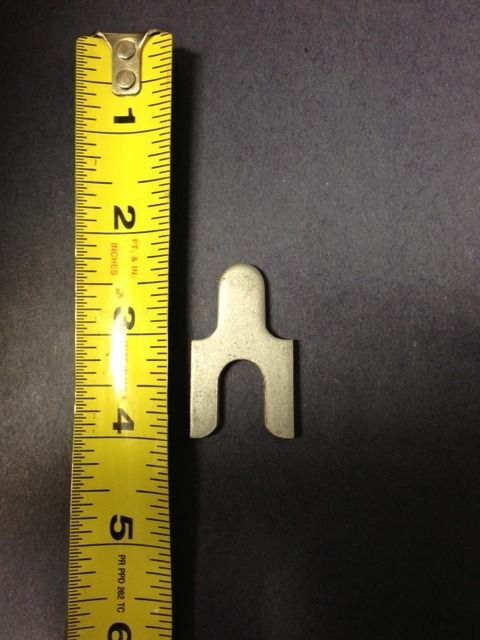 Does it have an overrider bracket or a thicker cast yoke and no bracket? I need to disassemble the jack in order to properly restore each component part. 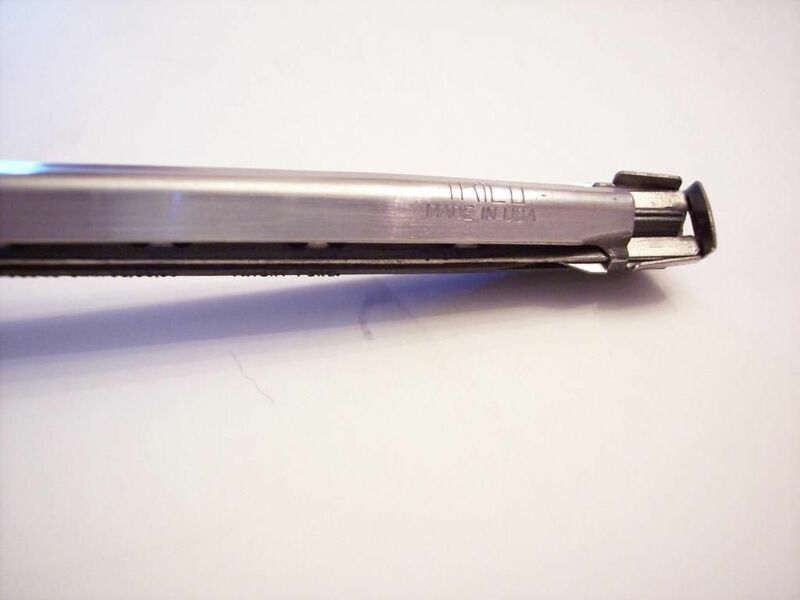 The ratcheting assembly is prevented from sliding off the mast by a spur (see photo) that exists on both ends of the mast. 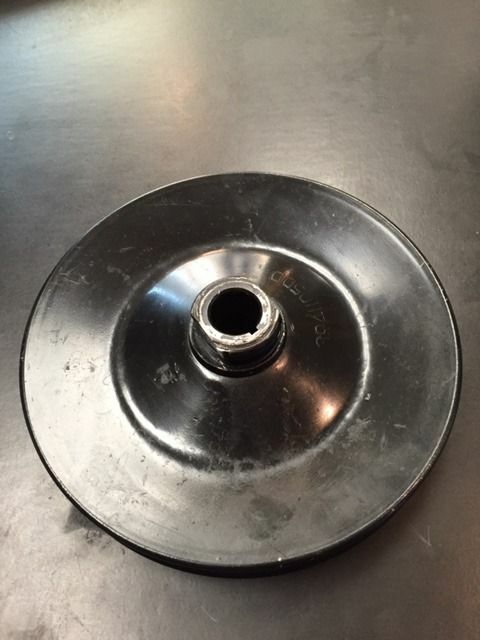 Is there a way to remove and replace the ratcheting assembly while preserving or re-creating the mast spur? 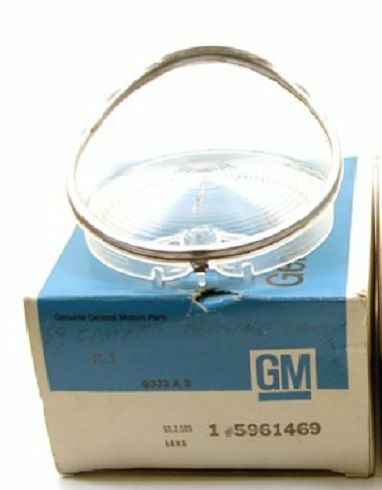 The 1969 RS parking lamp lens with the stainless trim ring was discontinued some time in the early 1969 production year. From what I have read this change may have occurred in December, 1968. The service replacement example in the photo is missing the argent paint trim around the inside vertical perimeter of the lens which was found on assembly line originals. 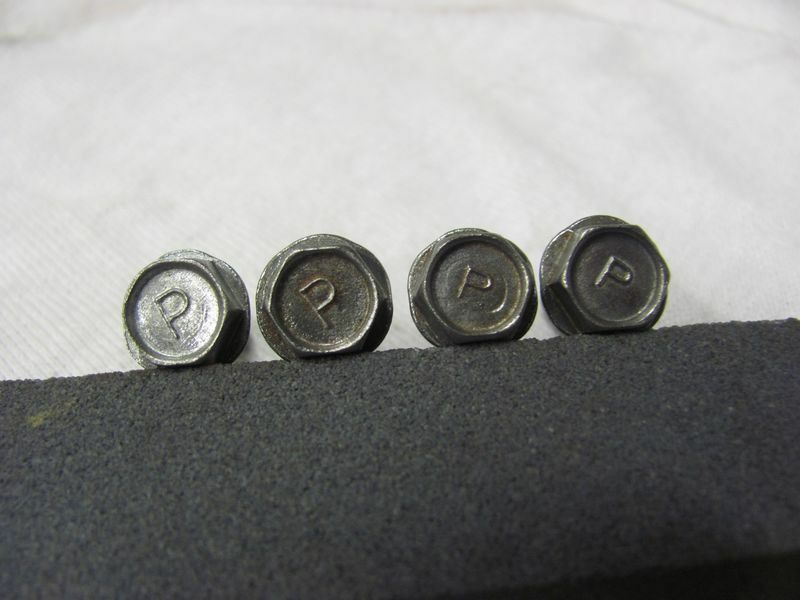 As with other early production parts despite specification changes some continued in assembly line use until parts inventories were exhausted. A good example of this was the "shorty" trunk spoiler which despite being discontinued in December/January was installed on some February (and later?) cars. I am trying to determine the latest date these bright trim RS parking lamps were used in assembly line production at Norwood or Van Nuys? 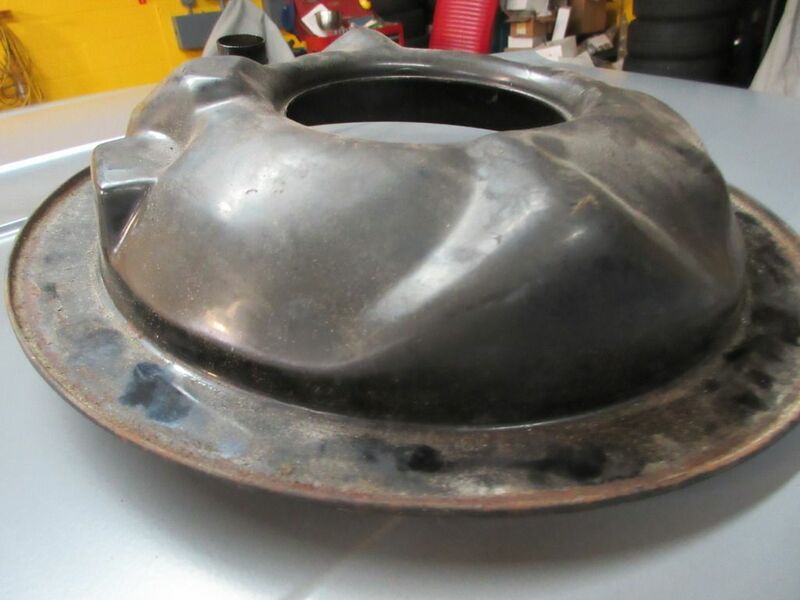 I'm looking for a shop that can do a high level restoration of my 1969 dash carrier (not the gauges or dash pad), or a source to purchase a restored original unit. I know HBC sells them however with a substantial retail mark-up. I'm not considering DIY. 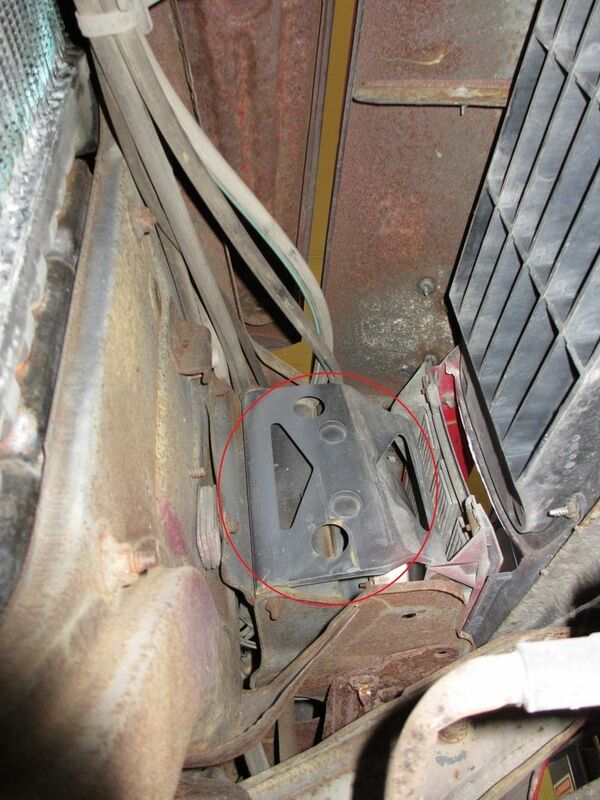 -> Does anyone have direct personal experience with a good restoration shop who has done a dash carrier restoration? What was your experience, pricing etc? -> Opinions on restoration dash carriers currently available? 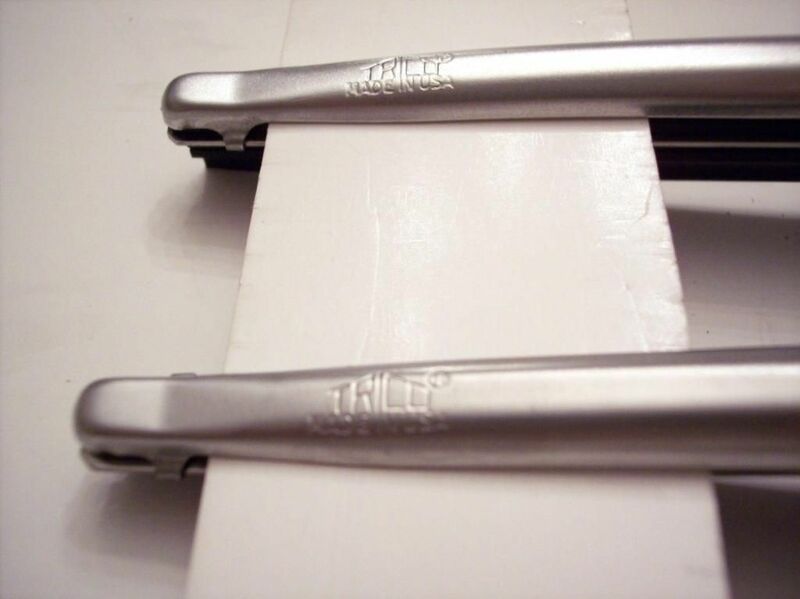 ->How do they compare with factory original? 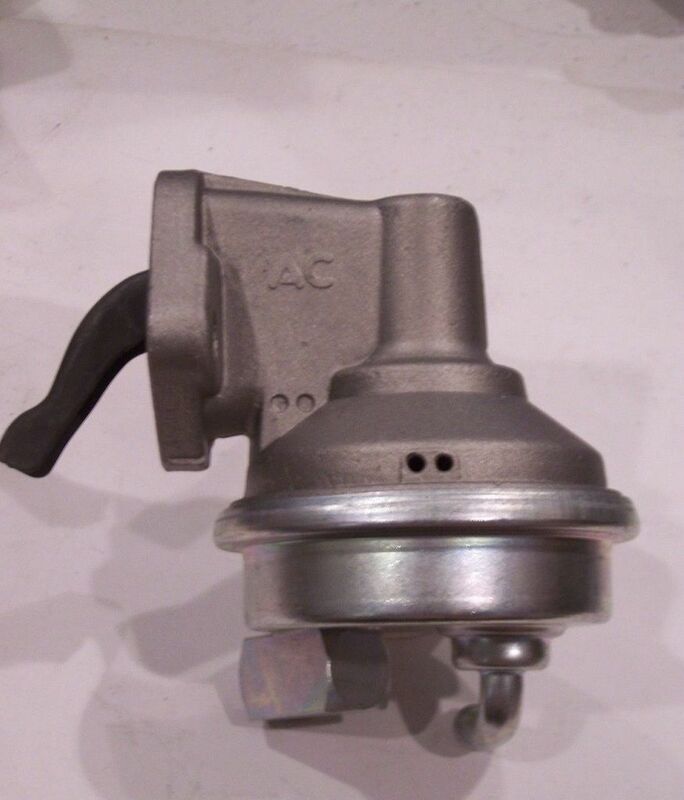 -> Has anyone used the following companies for dash carrier or gauge restoration? If so what was your experience? 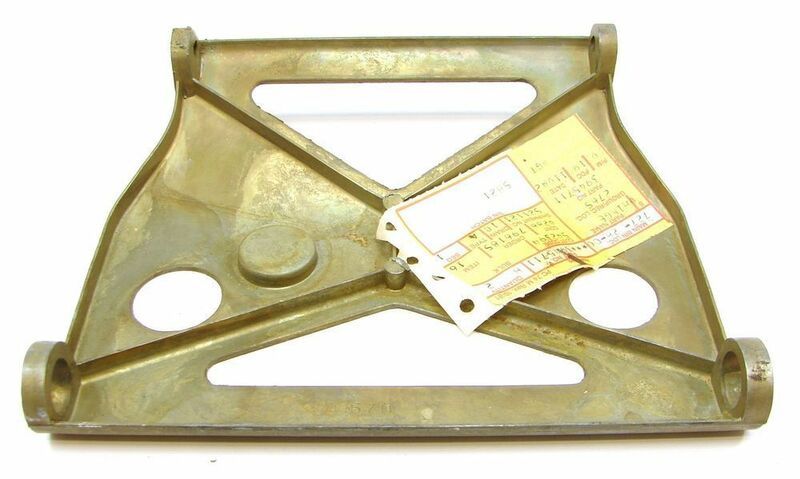 Trying to determine how the large RS headlight door hinge (GM PN 3945711) was finished at the Norwood factory, NOS hinges are natural aluminum or maybe pot metal and originals I've seen have are often black due to aging or perhaps due to a primer finish applied at the plant? 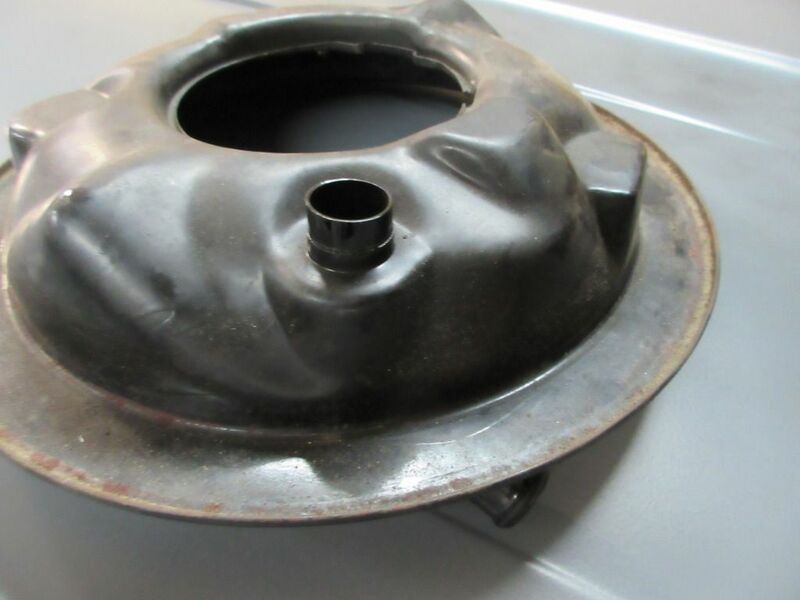 I've read through various threads on the subject of open element air cleaners however haven't been able to conclude if this air cleaner base is correct for a 1969 Z/28. Would appreciate feedback, thanks. 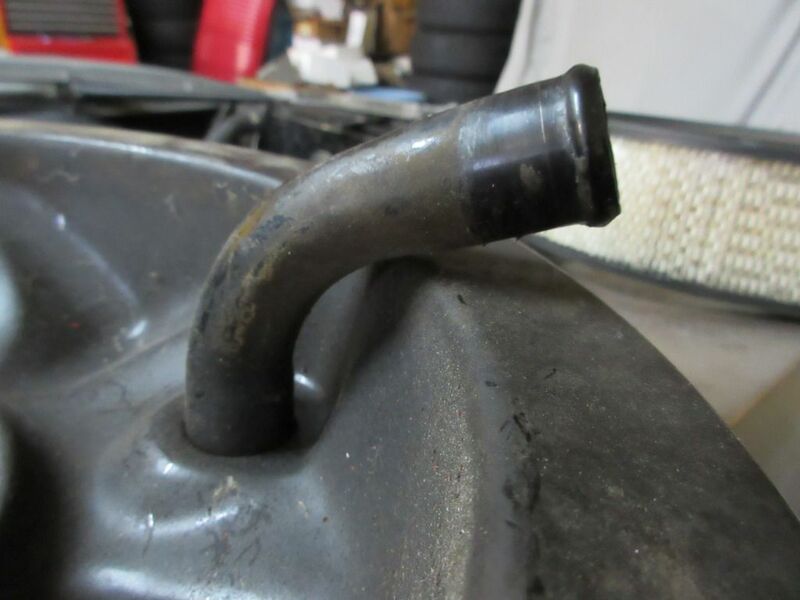 I recently purchased a 1969 RS/Z project car that at some point had headers installed. 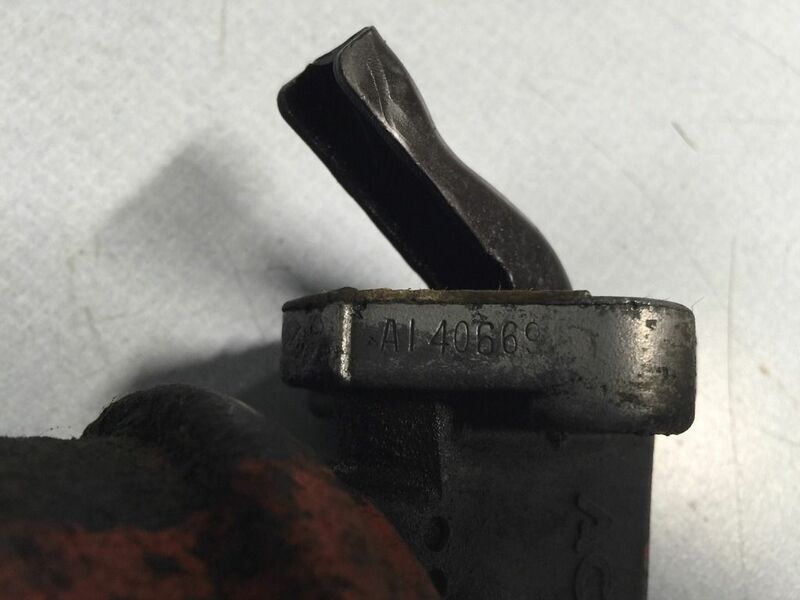 The reverse lockout rod was disconnected and the bellcrank unbolted from the frame likely to deal with a common pipe interference issue. 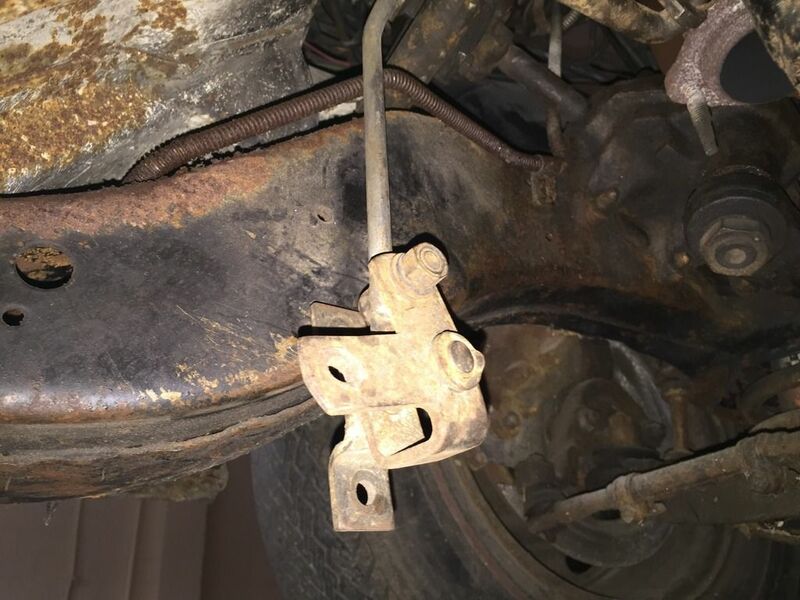 All the original exhaust hangers remain and almost unbelievably the reverse lockout bellcrank was left dangling...for how long I don't know. 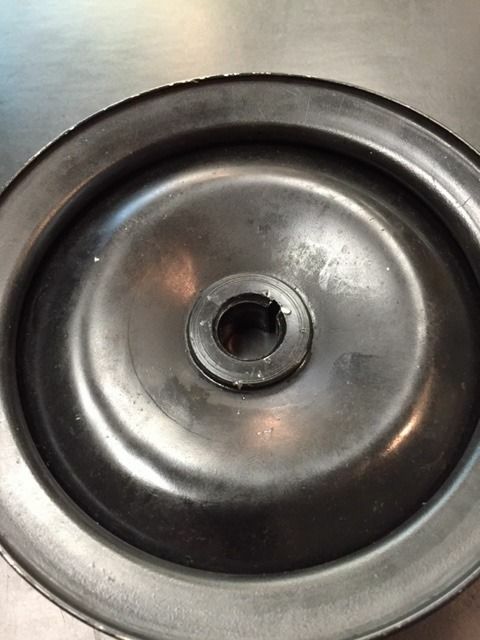 I want to reconnect the bellcrank to the frame and need to know which bolts are correct. 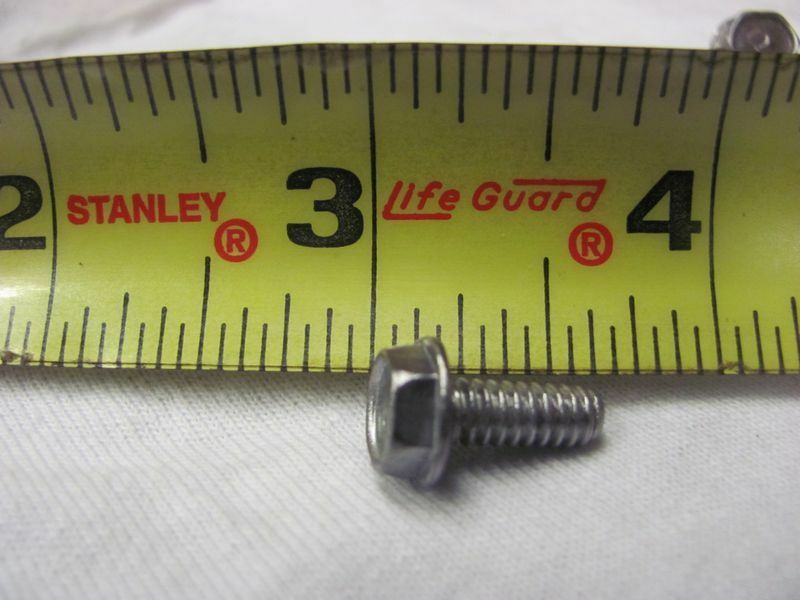 Please post a photo if you have original bolts. 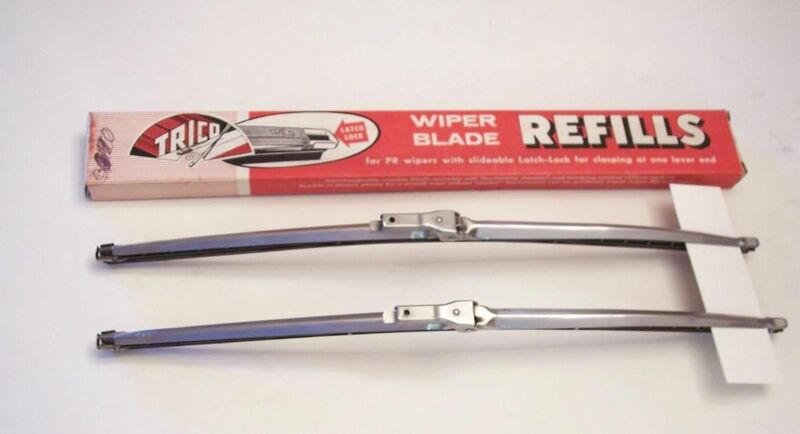 From my review, 1968 Camaros used a peaked style TRICO brushed stainless wiper blade stamped MADE IN USA (Photos 1 & 2). As best I can determine this peaked design carried through into the 1969 production year however at some point Chevrolet switched to a bevelled design (Photos 3 & 4). 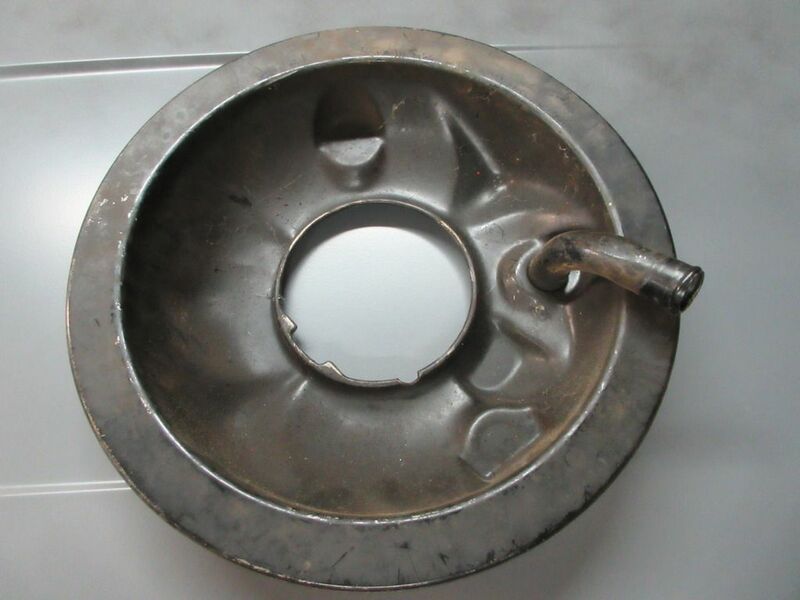 Does anyone have information on when the bevelled design came into assembly line use? 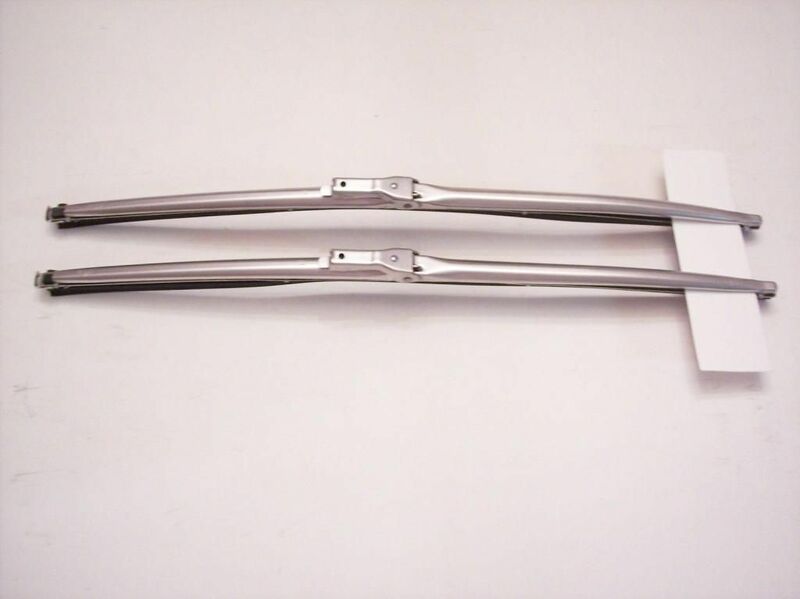 The 1969 AIM specifies the spoiler-to-lower valance bolts as #9417075 #10-24 x 3/4" with a captured washer and #10-24 nut with captured washer #3759924. 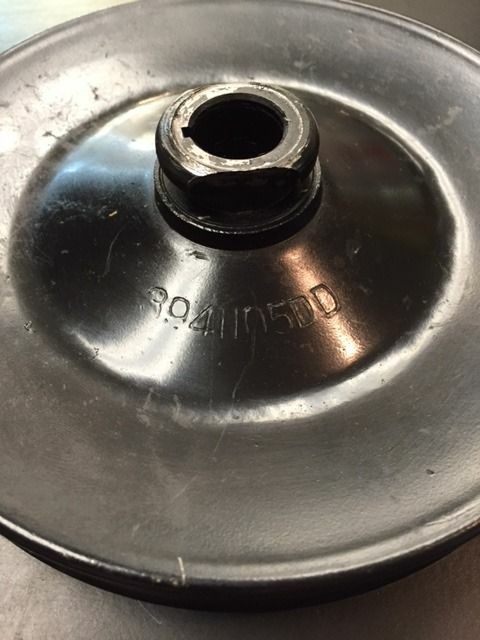 Do these bolts look like originals?